Beat the heat and keep your air conditioning service bills lower with a some simple painting tips and tricks. 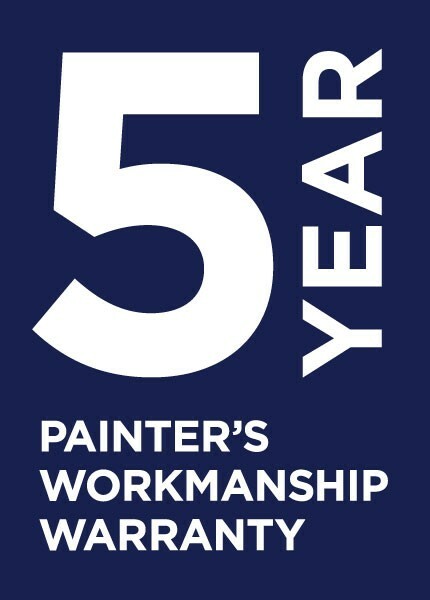 We have several techniques perfected during our decades of running a Brisbane painting company. The most obvious is working with the theory that dark colours attract the heat and light colours reflect the heat. But it’s the how and where to use this colour heat theory in your home that matters. Used effectively it will make your home cooler in the summer heat. The best area of your home to use a light paint colour is your roof. The is the largest exposed area of your home. Directly facing the sun and absorbing its rays, your roof makes the biggest impact on the natural cooling of your home. Finding a way to lessen the solar radiation that heats the roof and transfers into your home is a great cost effective saving. And it doesnt need to lessen the exterior look of your home either. White and light colour roofs look fantastic, especially when matched with flattering trims and gutter colours. At Qpaint we also have an insider tip that we use every time we paint a clients roof. We use thick roof paint with a heat reflective membrane. This heat reflective paint actually prevents 90% of infrared rays penetrating your home through the roof. Plus it stops 85% of ultraviolet rays and heat. These rays are what makes the build up of solar heat in your roof and external walls. It is why your roof can still transfer heat even after the sun has set. In warm climates like Queensland, we do not need to trap in the heat to warm our homes. Batts and insulation work by slowing down the transfer of heat but doesn’t stop it from coming in from the roof. By using heat reflective membrane paint on your roof you stop the heat in the first place. Even by just using a lighter colour paint like a white it is proven to reflect more heat than a dark coloured roof. Combined with a specialist heat reflective membrane paint and you will significantly lower your energy consumption costs. Which is particularly relevant to Brisbane which usually has over 250 sunny days a year. The exterior paint colour of your home also matters when trying to keep your home cool. First of if you choose a light colour roof then it really matters to match your exterior paint colour. Dark colours absorb more than 70% of the sun’s radiant energy which transfers through the external walls and into your home, increasing the inside temperature. But white paint will work to reflect the heat away from entering through the walls. If you do not like white exterior paint then choose a cool paint colour. Make sure you tell your paint specialist that is the cool spectrum of colours you are wanting so they avoid the warm versions if the colours. The colour pallette wheel for cool colours is vast, you are not limited to just the white section. At Qpaint we also use specific exterior paint made for climate and weather effects. We can help you decide on the main colour and suggest trim, gutter and door paint to make your home look amazing. And stay cool! Psychology plays a part in how a colour makes you feel. So not only can you make your roof and exterior actively work to cool your home, you can ‘feel’ cooler inside your home with cool paint colours. Sitting in a warm amber or red room during a 40 degree humid day isn’t going to make you feel cooler, in fact even with air conditioning on, the psychology of warm paint colours can make you feel hotter! Plus it can be jarring to enter a home that is painted int a cool exterior colour and then be mismatched on the inside with warm paint colours. Cool paint colours tend to be more matte based but there is no reason you can’t select a cool gloss paint if you like it. On your ceilings it’s best to use a cool white paint, most painters will have a paint that is actually called ‘ceiling white’. Your ceiling plays a big part in transferring roof heat so make sure you get the right colour. So in conclusion it’s best to get your roof professionally painted, as it will benefit your energy consumption bills for a long time. It may be a bigger outlay to pay professional painters but they will save you money with insider tips and tricks. 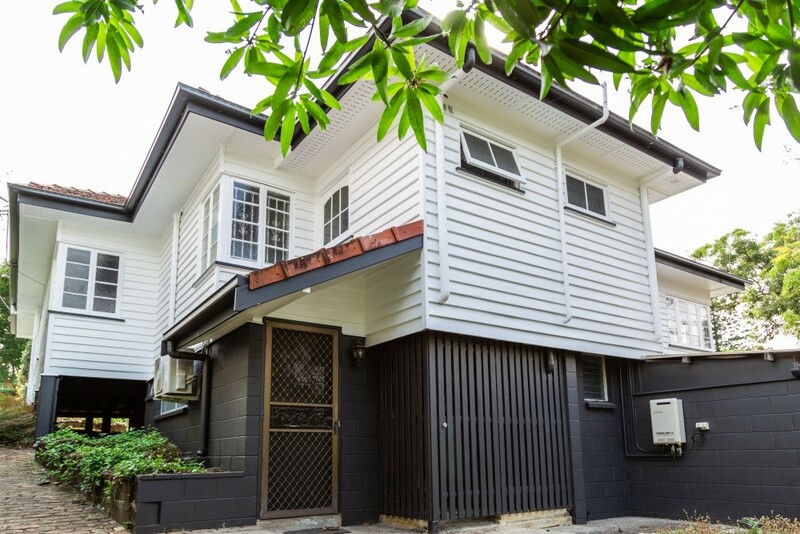 We know how to paint a Queenslander to make it naturally cooler in Summer. Plus give you access to specialist paints like the ones we use at Qpaint. And remember if you can go bold on your front door exterior paint, if you really want to make a statement. This is not going to have a big impact on your homes overall natural cooling ability.